HQ Trivia was possibly the only real breakthrough app of last year. It's a live quiz show, running for 15 minutes twice a day, with 12 multiple choice questions to answer. I feature it a lot in presentations, because it's a great example of digital media creating shared experiences, rather than one-to-one or long tail ones. 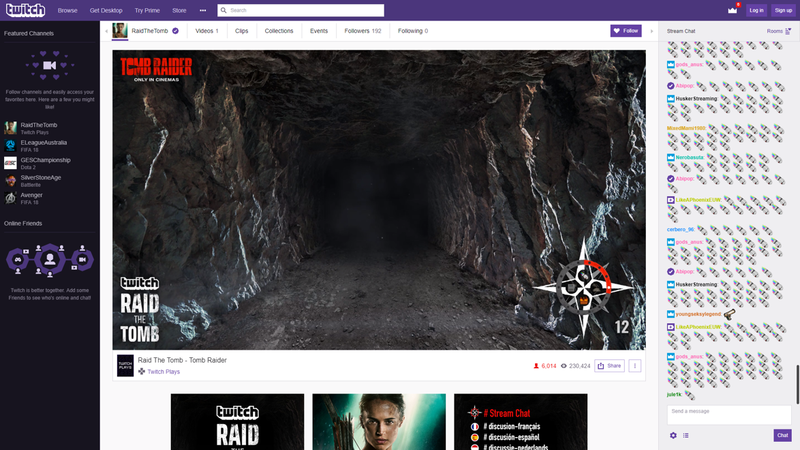 Using Twitch, Amazon's live game streaming service, to promote the new Tomb Raider film isn't that creative an idea - but how they used it was very innovative. 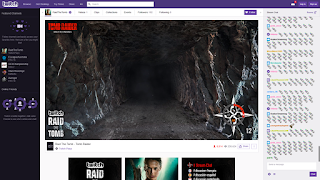 In Raid The Tomb players were able to explore a virtual tomb and solve puzzles using chat emotes in a live Twitch stream with thousands of viewers all working together to unlock a prize for the Twitch community. Very well done! Live today and tomorrow only. Final day is Friday 16th March 2018. One element I love is that it is completely word free - with instructions in 8 languages. Each month I look at the biggest and most interesting deals in media and technology. I think that these deals give a really good steer to the future plans of these companies, including a possible glimpse of future services. February was quite a quiet month for deals, but arguably the best was saved for the end - Amazon's purchase of Ring, the smart door lock company. This deal has the potential to solve the oldest problem in eCommerce - what to do if you are out when the delivery man calls. 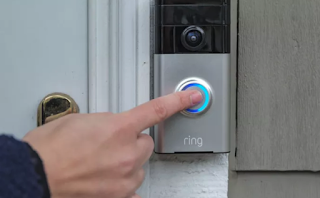 Ring makes a smart door lock that allows the owner to let visitors in remotely, either if they are 3 stories up in their apartment, or nowhere near their home. It will allow Amazon to extend their 'Amazon Key' service, announced last year, that would essentially do the same thing, but without the reach and brand name of Ring. As a home owner, you could give Amazon the right to enter your property (the device would either use a scanned code or - maybe - face recognition), and even put fresh produce into the fridge. Amazon has also announced plans to launch a stand-alone delivery business, competing with people like DHL. This will give them an enormous competitive advantage. Looking a few years ahead, given Amazon's interest in health care, it could also be the means by which doctors or carers get access to the home. At an estimated billion dollars, it's Amazon's second biggest deal, reinforcing how potentially game-changing this is. SPLT is a B2B ride-sharing service, and by buying it Bosch gets more credibility in 'mobility' space, which it already dabbles in via COUP, its scooter rental business in Berlin, Paris and Madrid. It's part of the trend of manufacturers trying to move into services. Maybe, like Dyson, Bosch has plans to make its own electric vehicles? It just shows how demarcations and boundaries between different industries are breaking down. We didn't hear a great deal about Pokemon Go maker Niantic last year, but 2018 looks to be a very busy year, with the launch of a new Harry Potter game. The purchase of Escher reportedly gives them access to technology that makes AR objects more 'permanent' between different users (if I move a table, you also see it in its new place) which will add interesting possibilities to multi-player games. Bots haven't really set the world alight, but there are still lots of companies using them, and trying to make ones that are useful. Mezi already supplies the tech behind Amex's 'AskAmex' personal concierge, so their purchase must surely be a vote of confidence and a sign of the importance Amex sees in the project. Craft Brewery Brewdog has just introduced a new promotion. 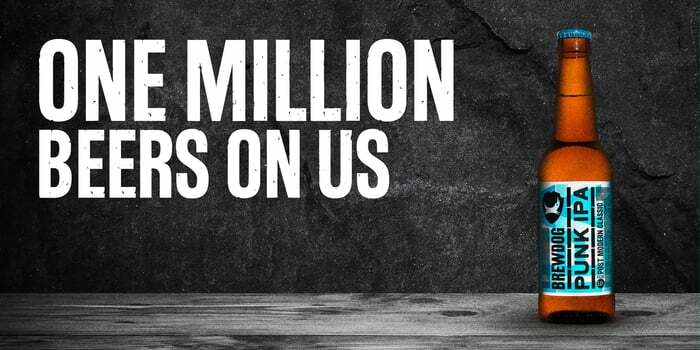 They are giving away one million pints of their Punk IPA to anyone who registers on their site, and signs up for an email. The pints have to be claimed at a Brewdog bar, and presumably most people won't just stay for one. Very clever marketing, but also I think it's very clever in the light of GDPR. 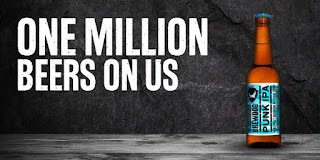 Brewdog get an opted-in database of 1 million names of people who have stated explicitly that they are willing to be re-contacted. (Or as many as they want, to be honest - they could keep it going as long as people keep signing up). I suspect that more brands might start doing this, to ensure that everyone is legally opted in with the most up to date terms and conditions. Update - it's been pointed out to me on LinkedIn that since you have to opt in to newsletters to receive the free drink, it is not freely obtained consent, so it is not GDPR compliant after all. But anyway, this is a more interesting example to discuss the practicalities of GDPR than most.